NDDC President Greg Kneser and I visited The Measuring Cup after a recent lunch meeting, and almost literally ran into NDDC Board Member Mark Quinnell. It was the day after their Grand Opening, the place was packed, we didn’t want to take too much of their time, and so I promised to stop back another day to finish the conversation. 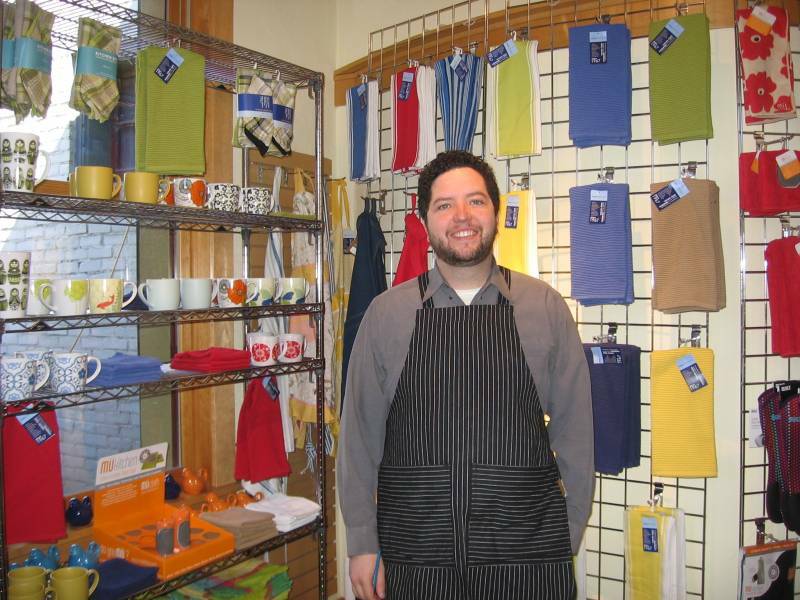 Adam Osterkamp says his family loves retail, loves customer service, and loves Northfield; the downtown shop Monarch has been part of their family since 2001. The Osterkamps love Northfield for the quality of life in our community. Adam believes it’s a great town for families: it feels safe, healthy, and very friendly. Adam says his family also loves cooking (and eating) together. They wanted to combine this love of cooking with their love of retail. They also believed that Northfield needed a kitchen store. When the space became available, they opened The Measuring Cup. Northfield has a really great mix of restaurants for a town its size, he notes. Adam also says he’s noticed that retailers work to complement each other’s offerings. He believes that downtown Northfield is an unusually supportive, and vibrant, business district. According to Adam, people have had a really positive reaction to the concept. He believes that Northfield is a town with great “Foodie” potential. He hopes that the store will inspire people to come out and share their stories, ideas, and aspirations about cooking. Adam envisions Northfielders celebrating their appreciation for food. Asked for closing comments, Adam said that he really loves the sense of community in Northfield. He noted it’s the only place he’s ever been where everyone greets you on the street.